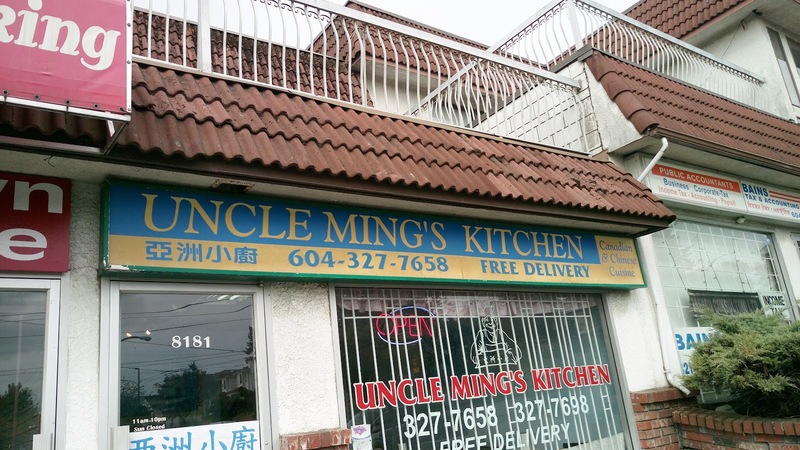 About a decade ago, when I used to work in the area, I often ordered take-outs from this little neighborhood gem. 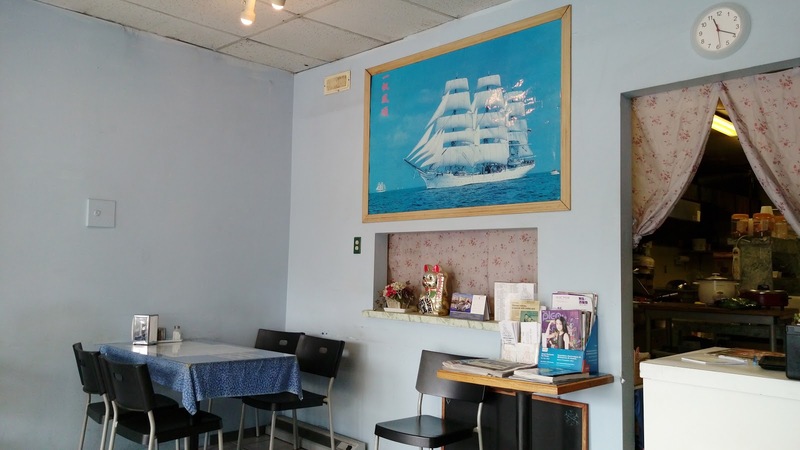 With only six tables and approximately twenty seats in the house, this ma-n-pa restaurant is a popular lunch canteen for local workers. 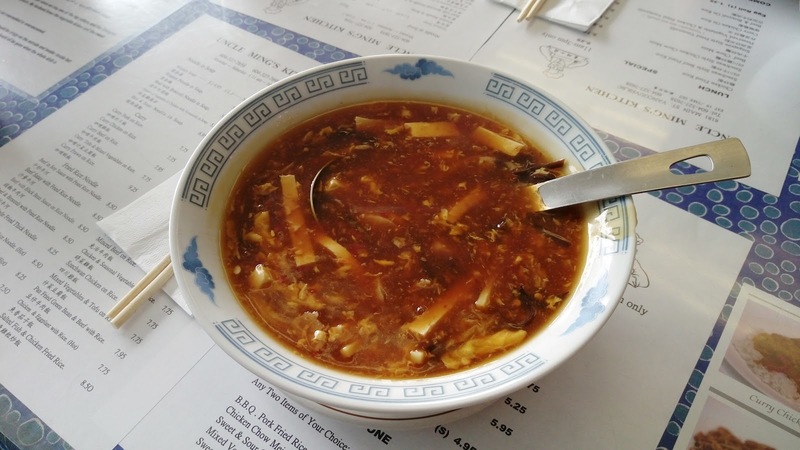 To start, we shared a $5.95CAD bowl of Hot & Sour Soup 酸辣湯. The soup had the fundamental elements of tofu, black fungus, bamboo shoots, egg, carrots and shrimp. 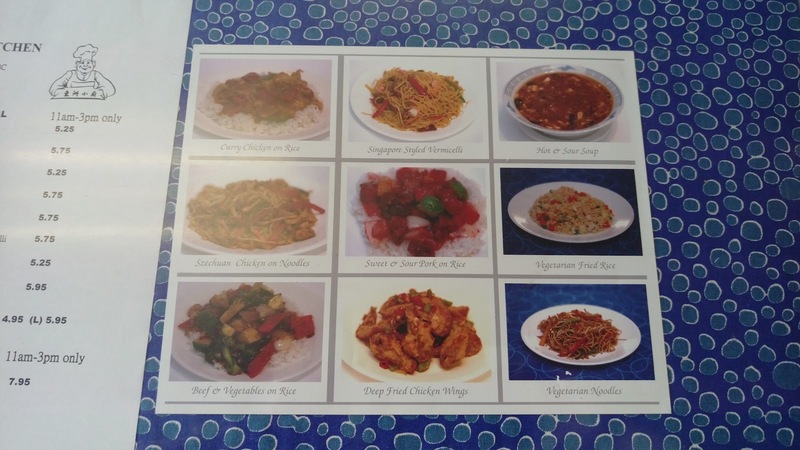 The "hot" tasted like sambal oelek and the "sour" was from black vinegar. Sesame oil was also quite noticeable. The order of Wonton in Spicy Sauce 紅油抄手 was $6.50CAD and it came with twelve dumplings in the bowl. 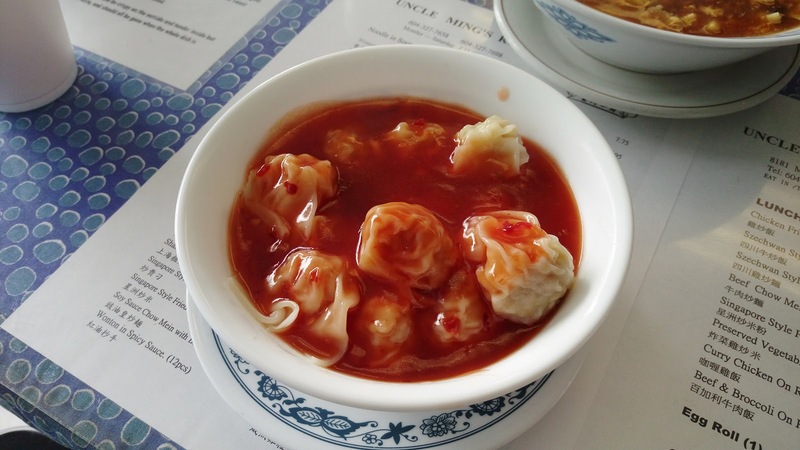 These tightly wrapped wontons were smothered in a house mix that mainly consisted of Thai sweet chili sauce. 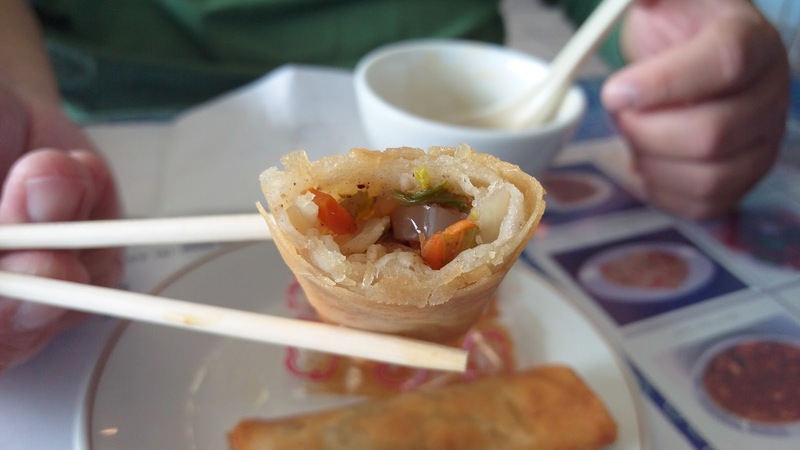 The filling had pork and water chestnut, an old school classic that's not common nowadays. 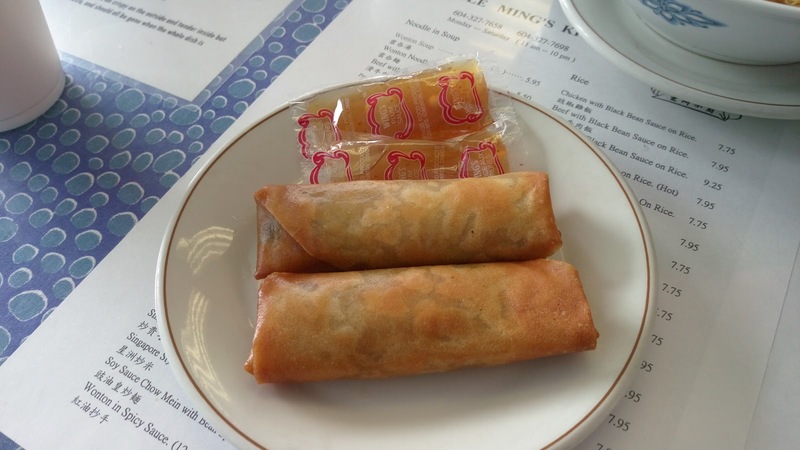 We had two orders of the Egg Roll 春捲 at $1.35CAD each. The rolls were crispy but the cabbage and carrot stuffing was bland and boring. 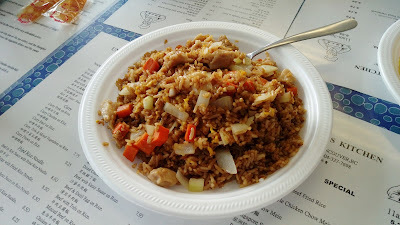 For carbs, Buddha Boy had the Chicken Fried Rice 雞炒飯. Because it was a lunch special, it was served on a styrofoam plate, just like how it was a decade ago. The rice itself had good wok-heat and it was seasoned/colored primarily with soy sauce, another old school way of stir-frying rice. At $5.25CAD, the plate had fair amount of chicken with onions and red peppers acting as fillers. 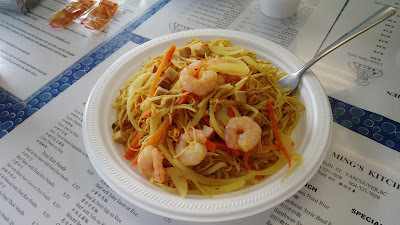 Again, served on a styrofoam plate, I had the lunch special of Singapore Style Fried Vermicelli 星洲炒米粉 for $5.75CAD. Similar to the previous dish, this had good wok-heat with adequate amount of essential elements: shrimp, egg, BBQ pork. 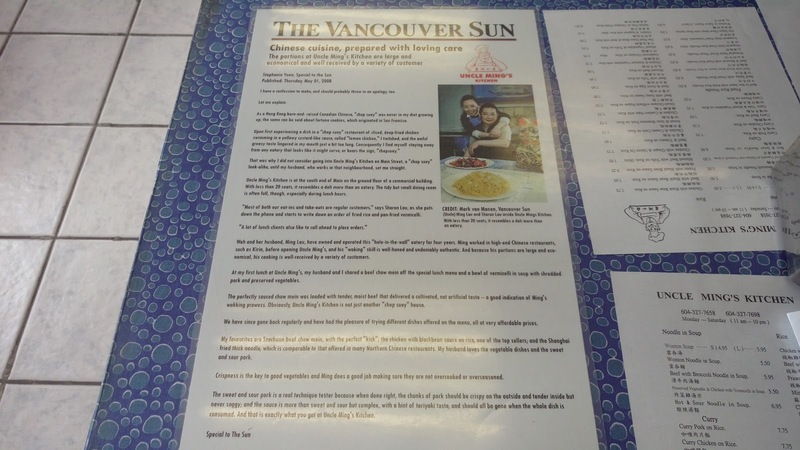 This was the HK-version where curry seasoning, onions and bean sprouts were added to the mix. Carrots were added to act as a filler and to give the dish some color. 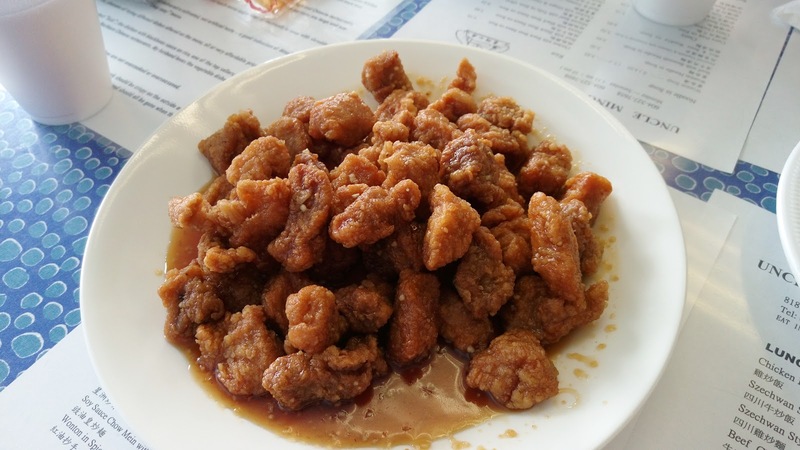 Off the regular menu, Buddha Boy wanted to try Honey Garlic Boneless Pork 蜜汁豬肉 for $10.95CAD. The meat was quite chewy because the pork was not tenderized and was overcooked. Not only that the "honey" part was insignificant, the "garlic" part was also quite narrow. Not recommended. The special items posted on the wall were the same prices then and now. 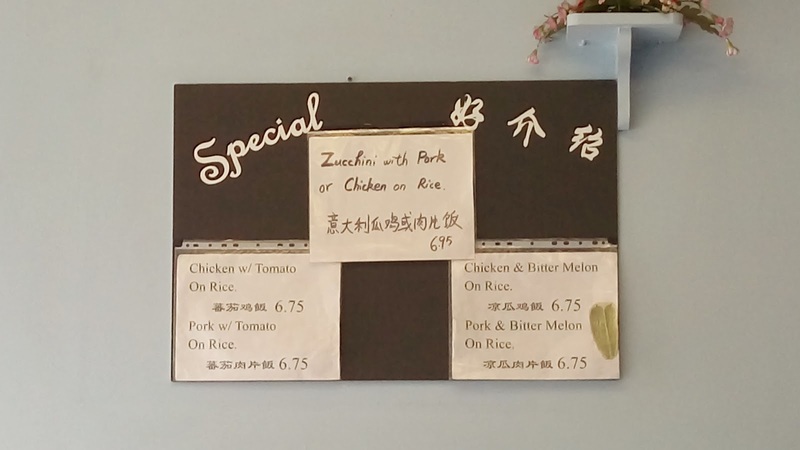 The lunch specials posted at the tables were the same prices then and now. Inflation did not happen much here huh? 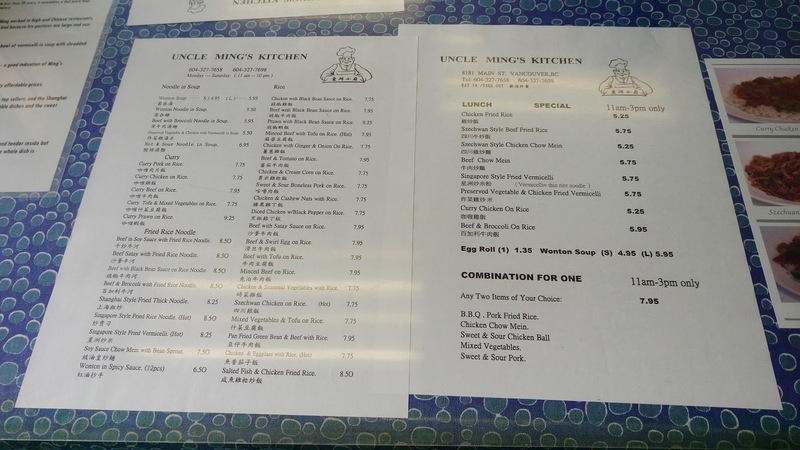 If you're in the area and you're looking for a place that offers satisfying food with acceptable quality at reasonable prices, give this homey dive a try.